Sand Storm charges through the life and times of a teenage girl trapped between long-standing culture and individual pursuits. Layla craves the affection of an another from a different tribe, but environment dictates otherwise. Her father, Suliman marries a second wife. Her mother, Jalila grinds through the life she must lead to survive. Director Elite Zexer crafts a bittersweet tale of a family drama. Spoken in Arabic, there a few moments where emotion becomes confusion due to translation barriers. Layla’s journey is a three-way tug-of-war between her mother, her father and her autonomy. Suliman all but disappears after his second set of nuptials. Jalila projects the burden of womanhood on her love struck and rebellious teen. Layla stretches herself thin, trying to appease her mom, attain love from her dad and satisfying her desires. The strength of the film is the story and acting. Its weakness is the cinematography, as it a decent and rudimentary. 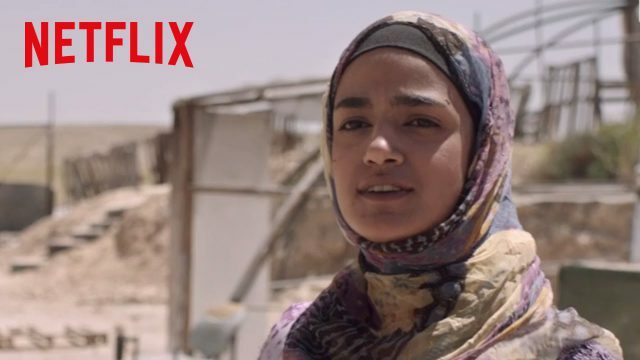 Sand Storm stars Lamis Ammar (Layla), Ruba Blal (Jalila), Hitham Omari (Suliman), and a patriarchal culture that damages woman, men, and families as the antagonist. Blal delivers the best performance as her character maintains the position as the rock of the household. Jalila treks on despite the behavior of her daughter, raising the younger girls and the inadequacies of her husband as a father, husband, and man. The journey wraps and ties up all threads while cracking the door open for a sequel or television series. Currently, the motion picture is available on Netflix.